It's not just our lives and health that have been turned around by a Low Carb, High Fat lifestyle. 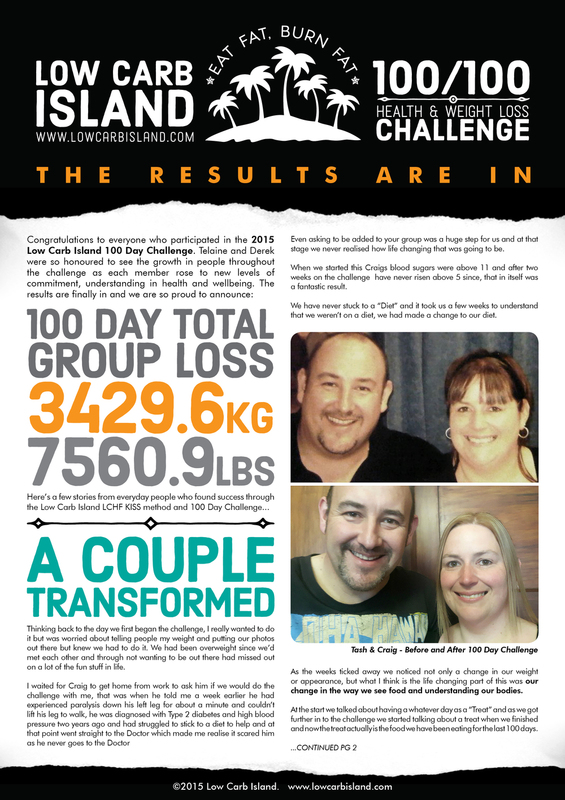 Everyday we receive messages from people who have found success through this way of eating. Here are just a few stories of lives transformed. Adam's changes: The first thing that I noticed was how soft my skin became after about a week, it seriously felt like a baby's skin! Not to have TMI but I have to say that gas has become almost nonexistent on this lifestyle. I have found my energy levels to absolutely have gone through the roof. I sleep deeper and more soundly but feel more rested on Five hours of sleep than I used to on nine or ten hours. I have gone from a 38 inch waist to 34 and gone from a xxl to large in shirts, sizes I haven't seen since early high school. I have also found that I am significantly less moody and grumpy and our marriage has gotten even better because of all these benefits!